DHCP is a protocol used by computers in a network to determine parameters such as default gateway, subnet mask, and IP address, DNS from DHCP server. General functions of the DHCP server is to facilitate the allocation of IP addresses (hereinafter referred to as IP) and also a very dynamic IP settings to help facilitate the users to not need IP setting when there is the addition of a new user or after reformat a PC. 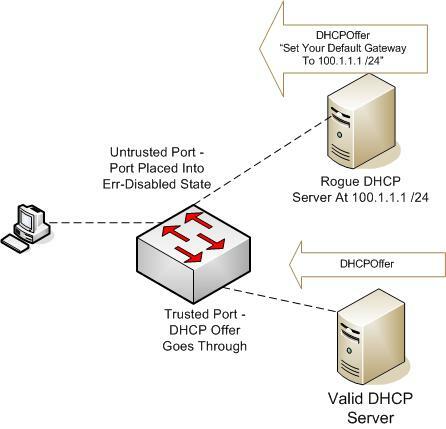 Detailed information on DHCP please read on http://en.wikipedia.org/wiki/Dynamic_Host_Configuration_Protocol#Introduction. Once you understand the function and workings of DHCP Server, let us try to install a DHCP Server. After the installation is complete do the configuration on dhcp server. Save when you're done editing the configuration files above. Perform configuration in rc.conf to determine the course of a DHCP server and listens on the interface where the DHCP server. Wrote 37 leases to leases file. Until the completion of this stage is the process of installing and running the DHCP server. For the other feature-feature please to experiment yourself. So a bit about from my DHCP server.